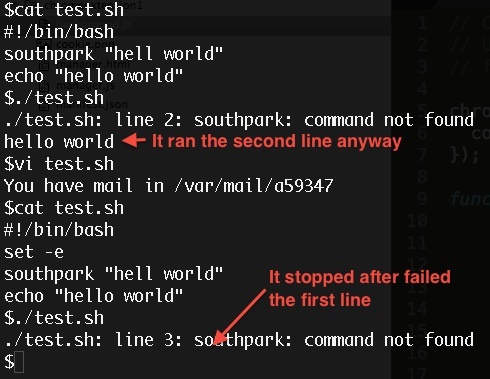 Today I learned a few tips from my colleague in Bash. We have a whole series of shell commands that need to run sequentially. set -e will make sure the shell script will stop once one line failed. Without set -e, the whole script will try to finish even if an intermediate step fail.